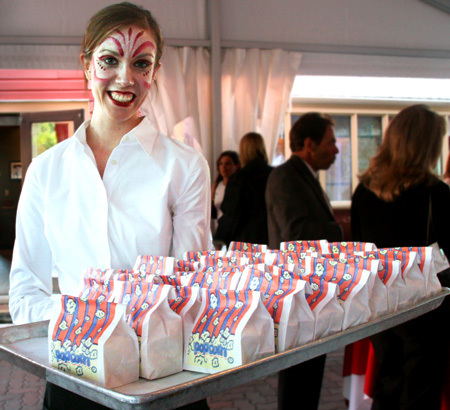 Heather (Rouge), serves up caramel corn for the crowd. Baruch, walked around on stilts, and entertained the crowd throughout the evening. 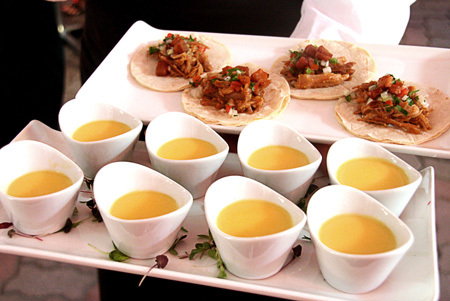 Corn Chowder, and pork tacos from Rouge. 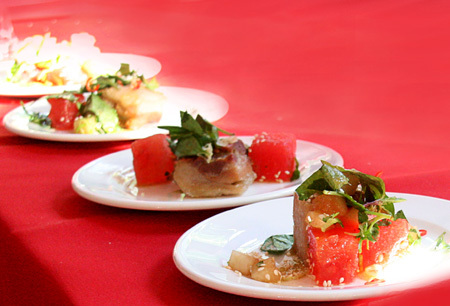 Super talented Chef Derrick Dammann (DNA Montreal) plates his pork belly and pickled watermelon salad. A closeup of Chef Dammann's dish. This was one of CSL's favrourite dish of the evening, light, spicy, herbaceous, refreshing. Summer personified. Another highlight? Rouge's own sauteed sweetbreads and carrot slaw, with mint. A lively carnival atmosphere pervaded in Rouge Calgary's garden. 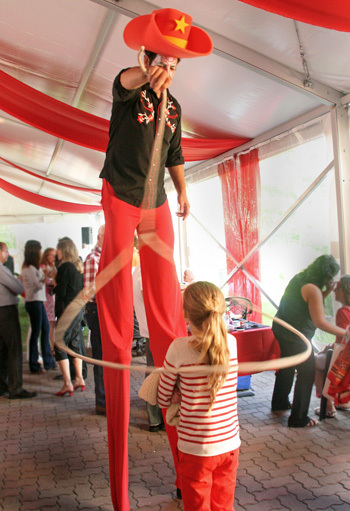 Chef Paul Rogalski played host to a "Rouge and White" event, which included a fortune teller, 'hula hooper', and magician/ stilt walker. 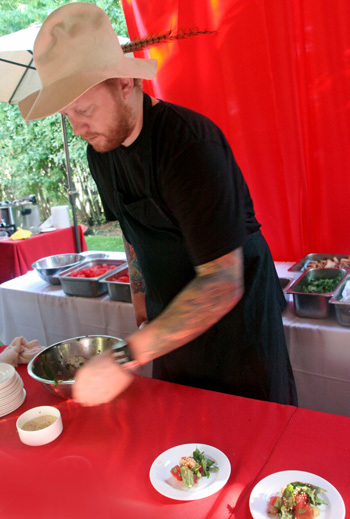 Intended to raise awareness for the Hotchkiss Brain Institute, showing support and bringing together people who have been affected by brain related illnesses or injuries, the lively party featured several local chefs including Chefs Connie DeSousa and John Jackson from Charcut, Chef de Cuisine JP Pedhirney, Chef Michael Allemeier, Chef Xavier Lacaze, and Chef Derrick Dammann.